Since founding their company in 1963, the Piedade family has developed a top-level industrial tool that allows it to produce on a large scale, and respond competitively to its clients’ requests. When it joined the OENEO group in 2015, Piedade began sharing its artisanal expertise in the manufacture of traditional and technical cork closures. A collection which adapts to the most varied bottles, and to any type of wine or spirit. This traditional cork closure is ideal for preserving the finest wines, with its natural range offering traditional ecological closures to protect both the wines and the environment. It easily combines high sealing capacity, elasticity and compression force, offering excellent wine preservation. The range of technical cork closures can be adapted to meet the needs of winegrowers. For still wines, these are known as PIETEC®; for sparkling wines: PIETEC® K and PIETEC® XL, and for spirits PIETEC® Cap. The line is produced entirely from cork granules using individual or integral moulding, and offers consistent and reliable mechanical properties. The products are available in various diameters, sizes and granulometries, depending on the bottles they are designed for. For us, research is about quality. The Piedade Group strives to anticipate market requirements and adapt its production to meet the most demanding challenges. To do this, it uses quality raw materials, and invests in research by rigorously applying a quality policy that has enabled it to obtain the most sought-after certifications. With in-house laboratories equipped with the very latest technology, Piedade is now able to offer a range of very resistant technical closures at an affordable price. This involvement has led to the creation of the patented and innovative PIETEC® XL cork for sparkling wines. The cork is composed of different sizes of cork granules sealed together during a unique fusion process. The result is a consistent cork closure that delivers reliable mechanical performance. PIETEC® XL is the combination of a closure that ensures optimum preservation for the wines that it seals, with the aesthetics of a traditional sparkling cork closure. To ensure that our resources are perfectly sustainable, we use cork from forests certified by the FSC (Forest Stewardship Council). The entire production cycle is based on the 3 Rs: Recycle, Re-use, Reduce. 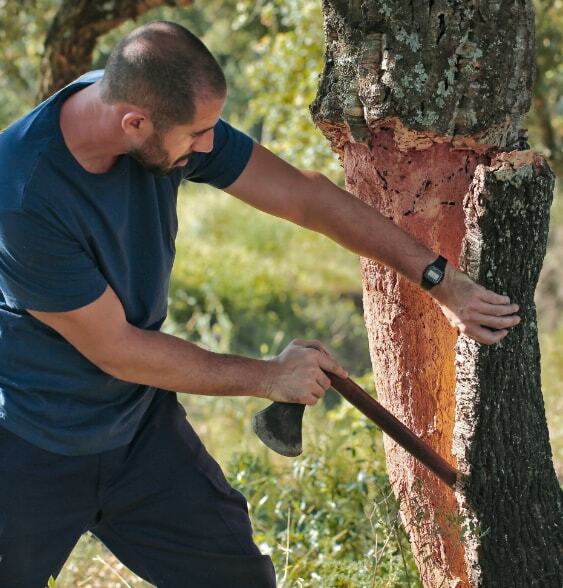 Cork is a wonderful raw material from which “nothing is lost, everything is transformed”. All derived products, such as cork waste, are subjected to rigorous quality control and transformed into technical corks inside the factory. Driven by its environmental protection policy, the Piedade Group has also brought an ecological closure to the market, with material coming from organically farmed forests. This cork is manufactured in Piedade plants according to a certified process. Having received the most highly-sought certifications ISO 9001 :2008, ISO 22000 and Systecode (SYSTECODE PREMIUM), this process is living proof of our quality policy. Come and discover our "Piedade" locations on our CONTACT US page. Contact PIEDADE by clicking on the link below. Follow PIEDADE on social media. Find further information about PIEDADE on its website.